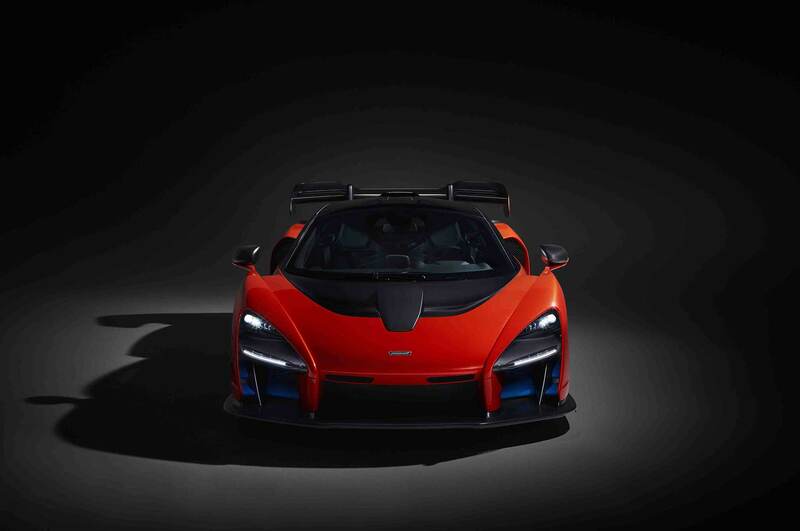 McLaren has revealed the latest car in its Ultimate Series: the McLaren Senna. 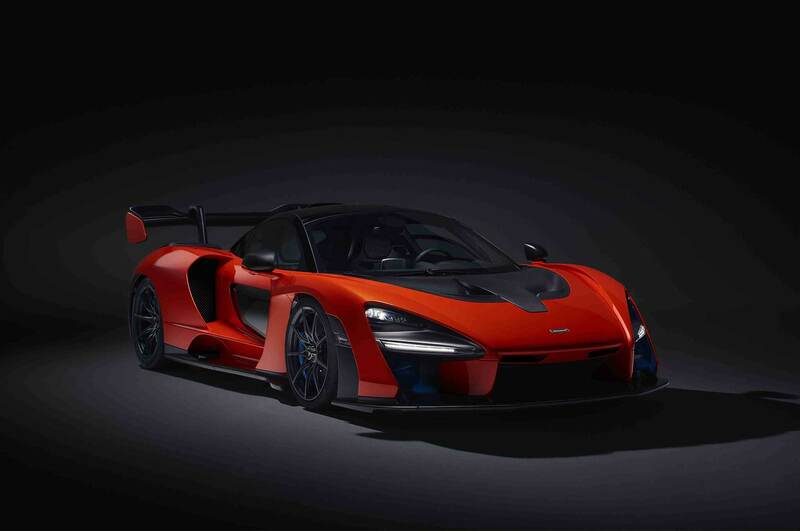 While not quite a successor to the P1 hybrid hypercar, the Senna is a limited-production, track-focused coupe packing 789 hp and named after one of the greatest Formula 1 drivers of all time. 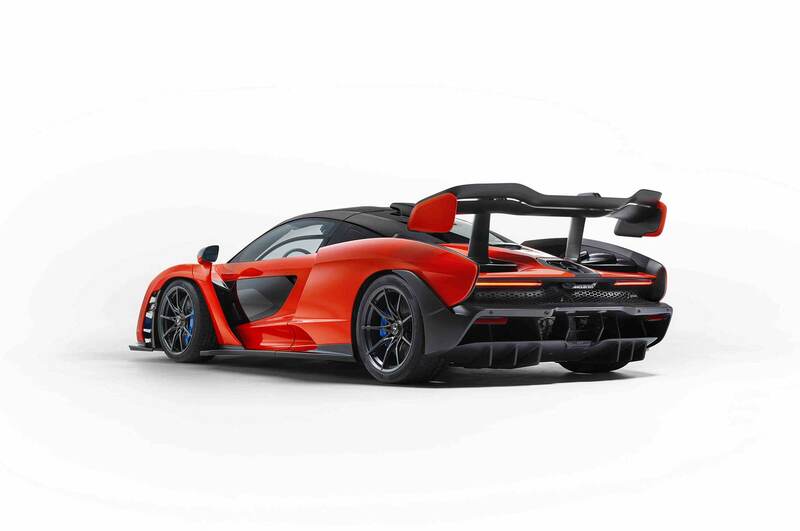 The McLaren Senna, of course, is named after three-time F1 World Champion Ayrton Senna, who died in a crash during the 1994 San Marino Grand Prix. Senna was racing for Williams at the time, but he spent five years with McLaren prior to that. 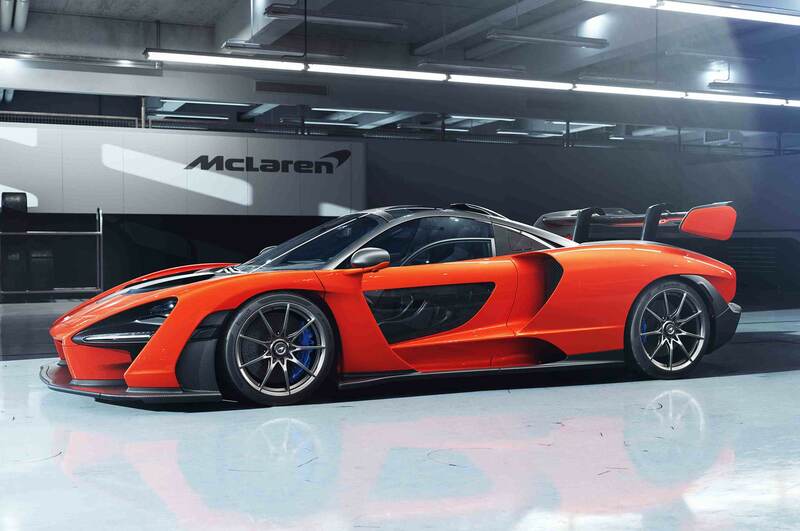 The sports car builder got the Senna family’s blessing to use his name for the car. 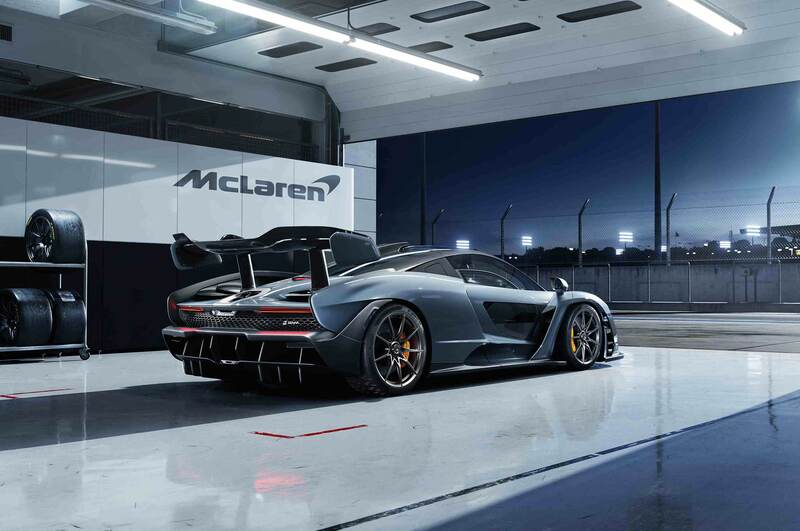 While we’ve no doubt the late Ayrton Senna would be honored to have his name on such a track-focused car, we wonder what he’d think of its design. 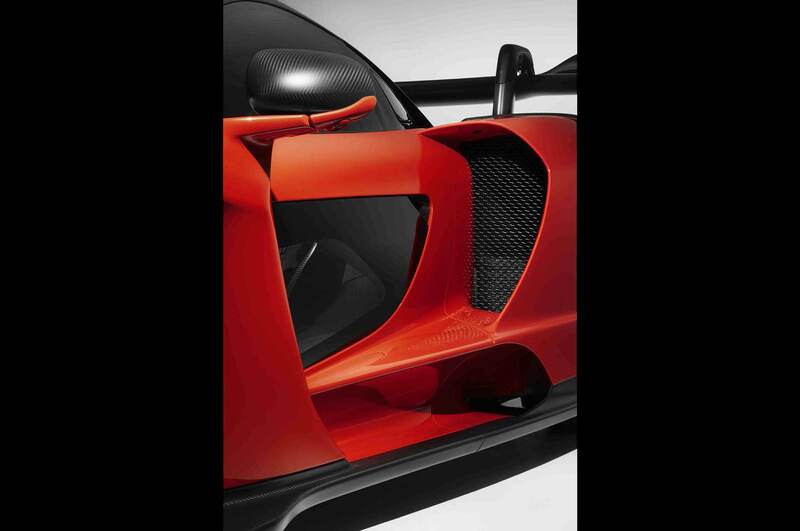 If you think the Senna looks like a 720S with a bunch of extra bodywork tacked on, you’re sort of on the right track. 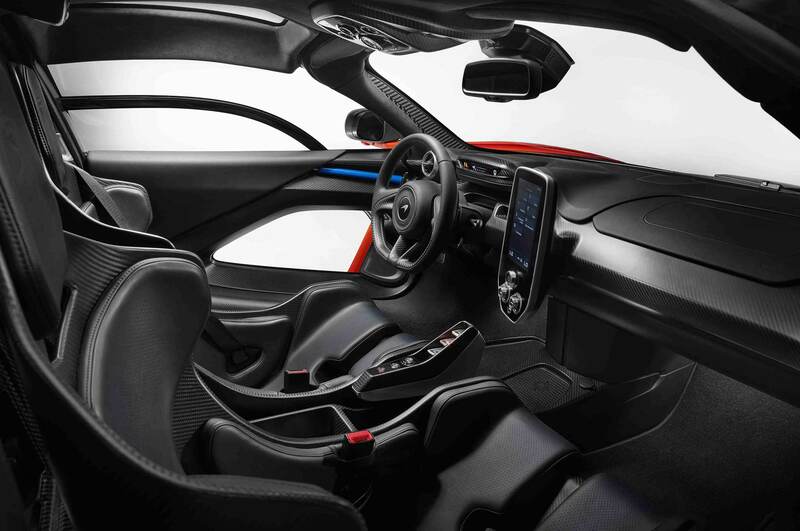 The car is underpinned by a further developed version of the 720S’ carbon-fiber monocoque, called Monocage III. 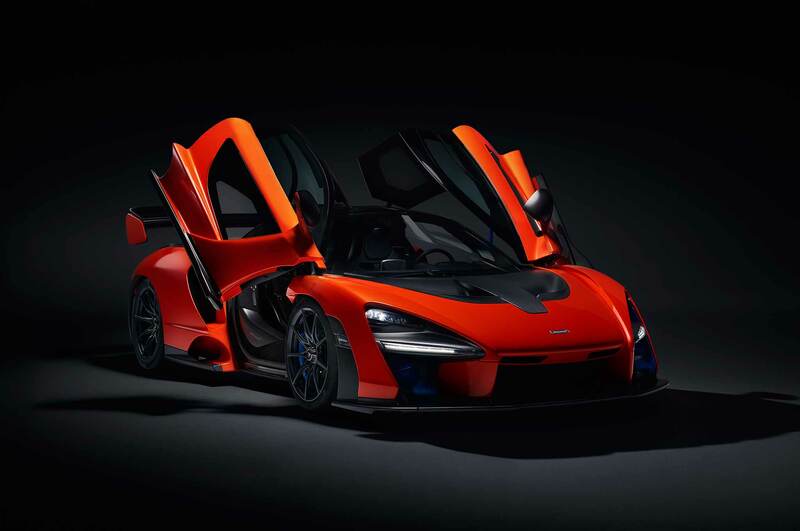 McLaren promises that all of the bodywork is functional, designed to deliver “downforce and aerodynamic balance.” Every body panel on the Senna is made of carbon fiber, which helps bring the weight down to 2,641 pounds (without fluids). 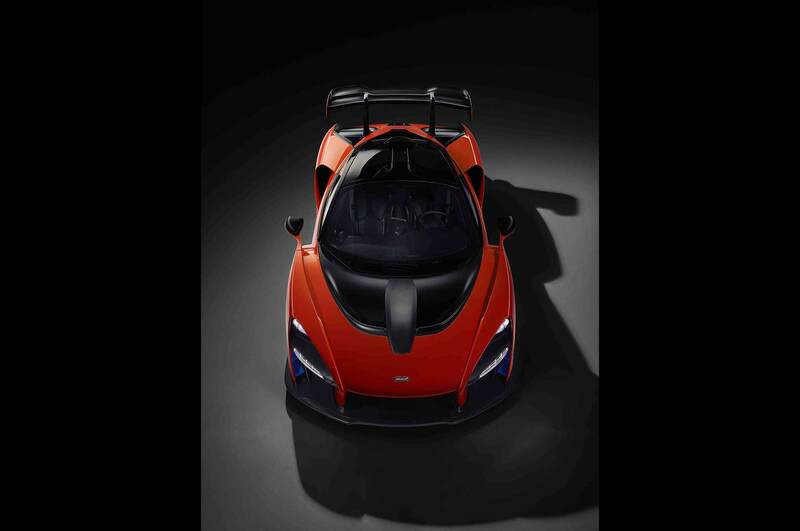 That makes this the lightest McLaren road car since the F1, according to the sports car builder. 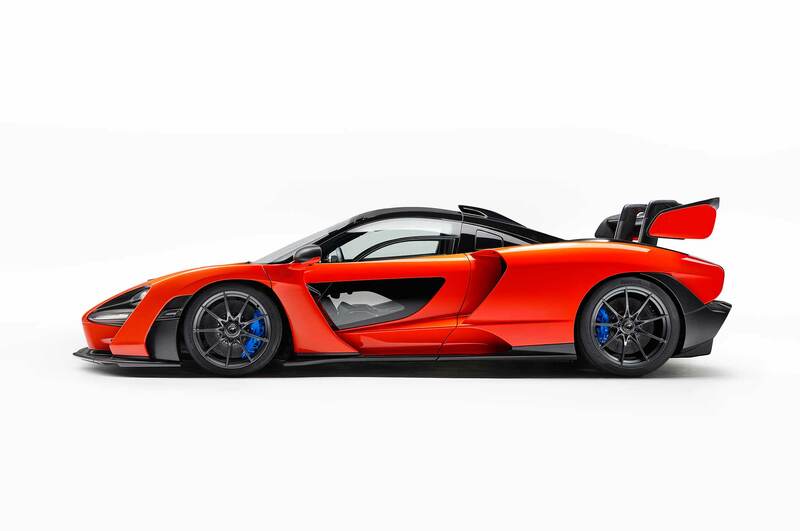 Yes, you can drive it on the street, though McLaren says the Senna is “legalized for road use, but not sanitized to suit it.” The Senna’s true purpose is “to be the ultimate McLaren track-concentrated car for the road,” and the emphasis clearly is on the “track-concentrated” bit. 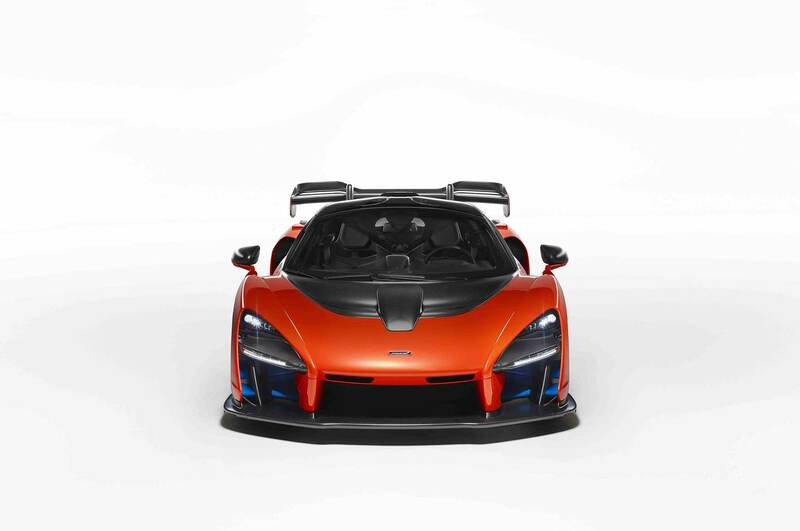 The Senna packs a version of McLaren’s twin-turbo 4.0-liter V-8 that produces 789 hp and 590 lb-ft of torque. 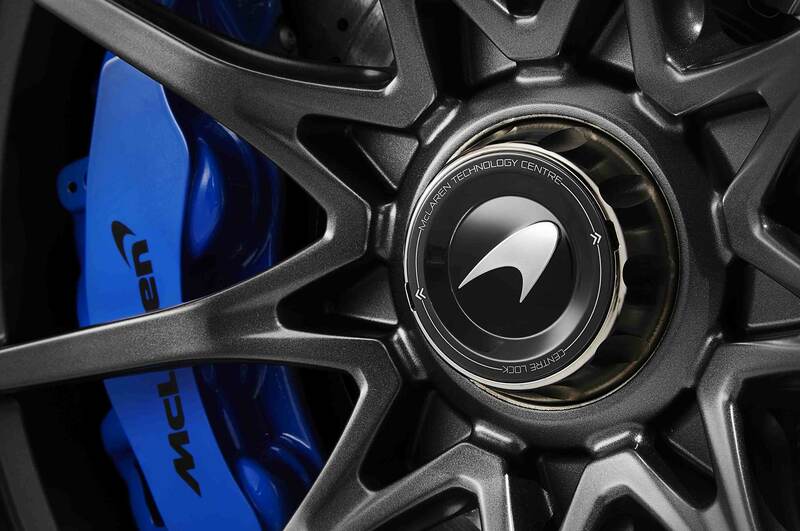 The engine is code-named M840TR, and is the most powerful ever offered in a McLaren road car. The mill features a flat-plane crankshaft and dry sump, as well as lightweight internals and twin-scroll turbochargers with electronic wastegates. 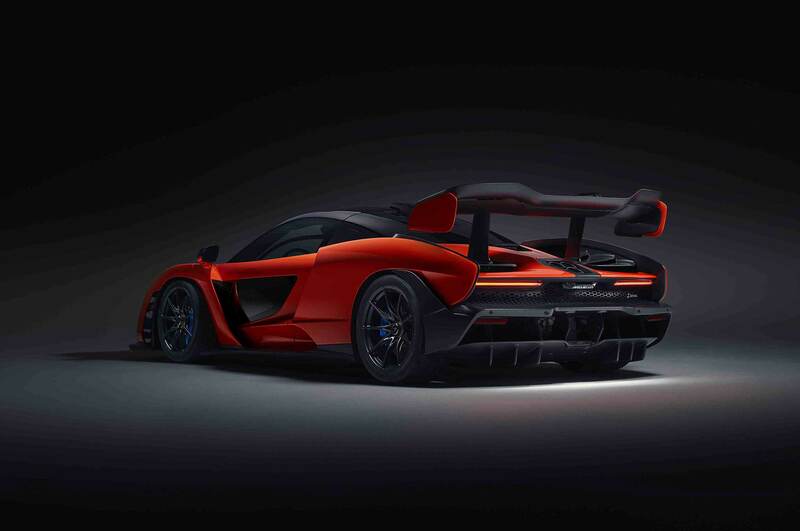 The engine, which is mated to a seven-speed dual-clutch transmission, gives the McLaren Senna a power-to-weight ratio of roughly 659 hp per ton. 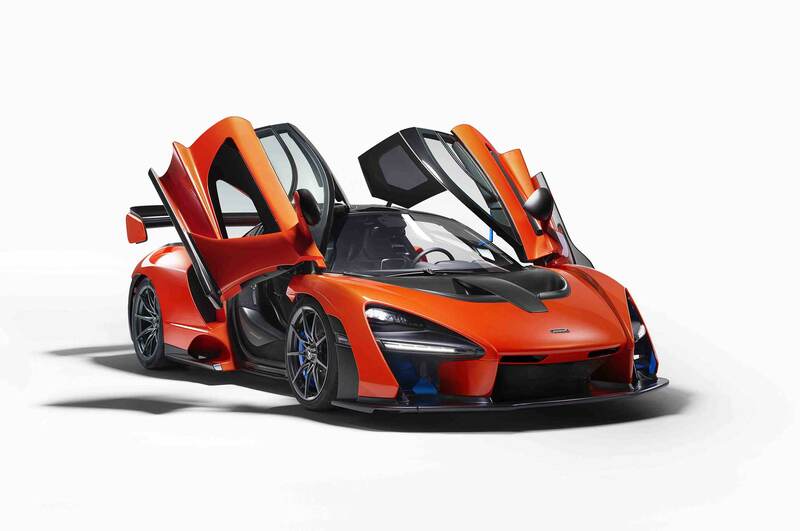 McLaren says the Senna features next-gen active aerodynamics, including the front splitter, rear double diffuser, and 48-inch tall rear wing. 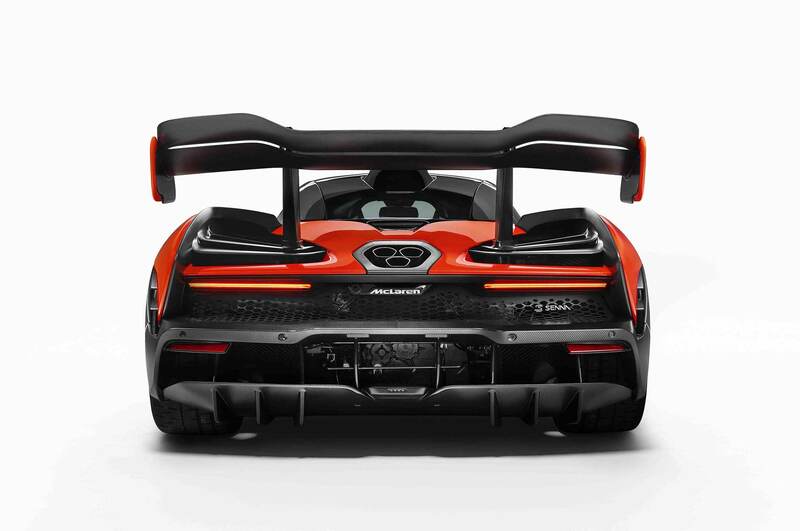 The rear clamshell was designed to both cool the engine and provide optimum downforce, with Gurney flaps placed in front of stepped louvers that direct air to the sides of the body. The rear wing is hydraulically actuated and constantly adjusts based on what the car is doing. It has a total surface area of more than 1,007.5 square-inches and can act as an airbrake. 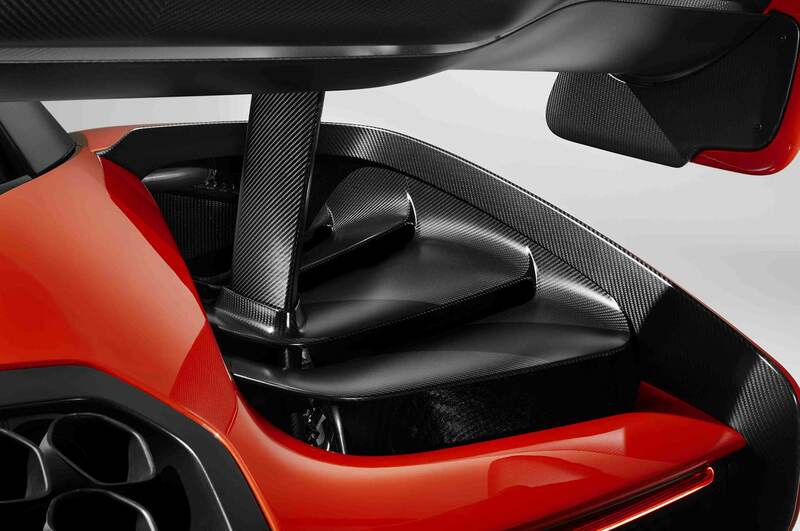 McLaren’s RaceActive Chassis Control II (RCC II) hydraulic suspension setup is used in concert with the already stiff carbon-fiber monocoque to deliver exceptional cornering ability. The system features a double-A-arm suspension with hydraulically interconnected dampers and hydraulically adjustable anti-roll bars. 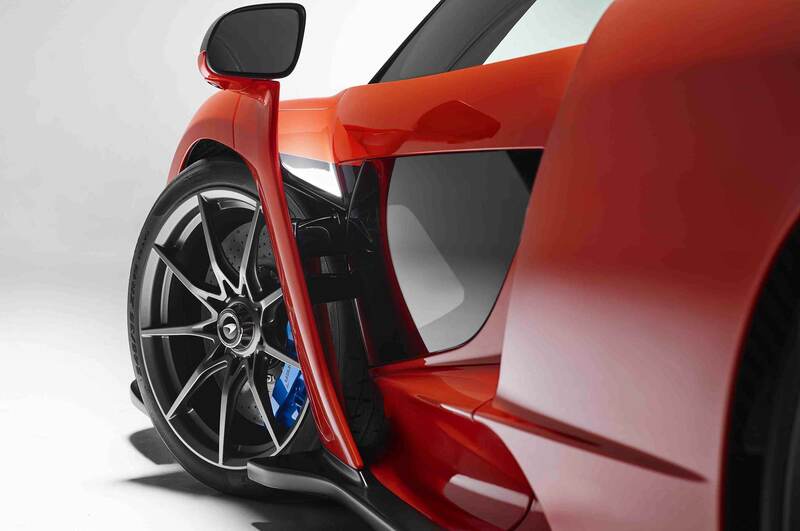 It also utilizes variable damping and ride height adjustment tech from the P1. 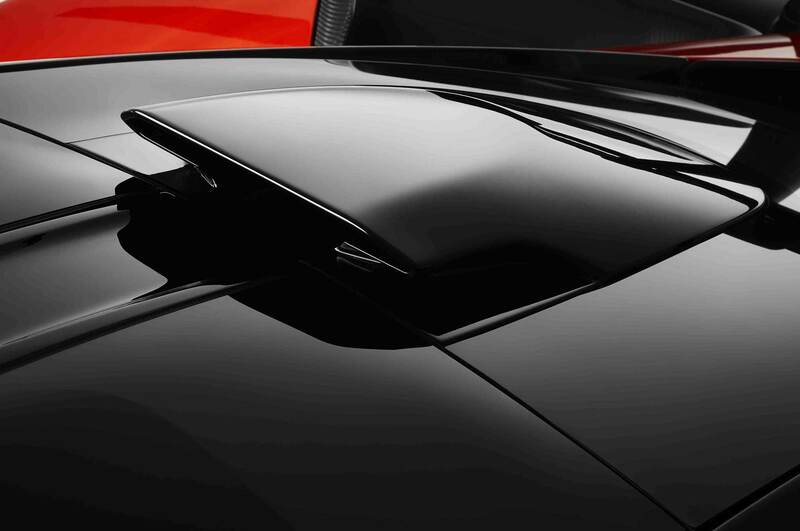 Primary suspension settings include Comfort, Sport, and Track, but a Race mode can be engaged via a roof-mounted switch. 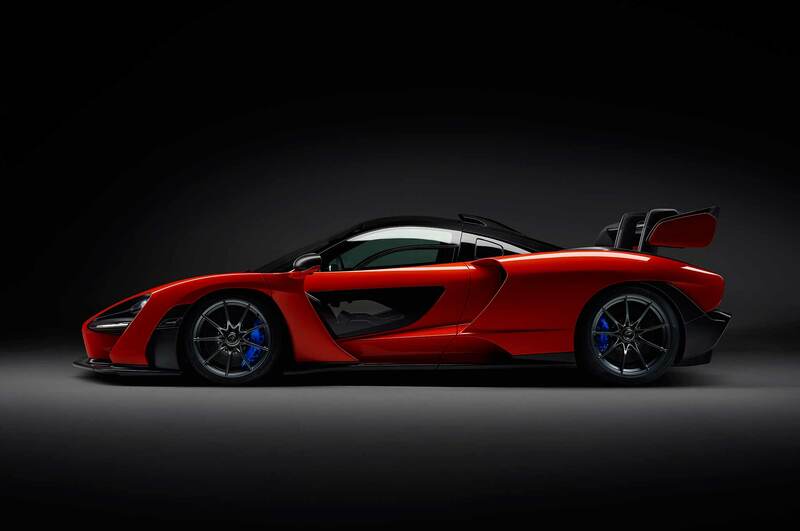 The Senna rides on specially developed Pirelli P Zero Trofeo R tires, and gets carbon-ceramic brakes at all four corners. Inside, you’ll find the bare minimum of creature comforts. 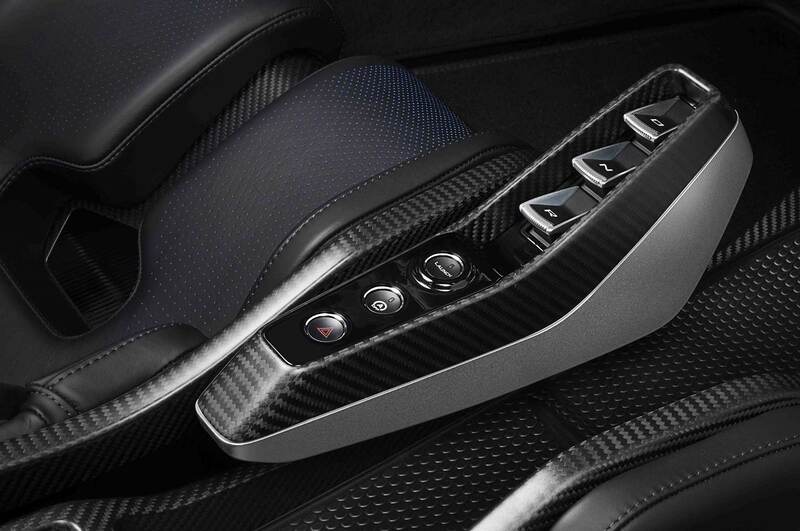 Exposed carbon fiber dominates the interior, and the seats can be upholstered in either Alcantara or leather, depending on customer preference. 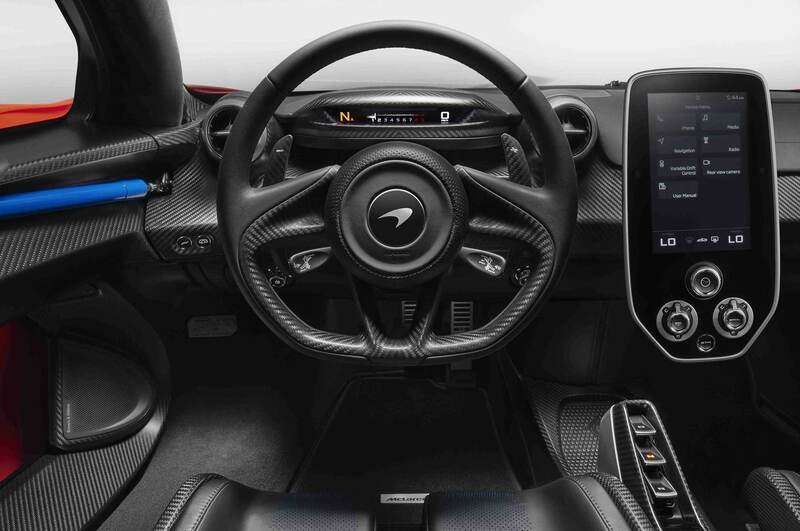 Controls are also minimalist to reduce clutter, with a buttonless three-spoke steering wheel and vertical central screen front and center. If you have stuff to transport, take a different car. 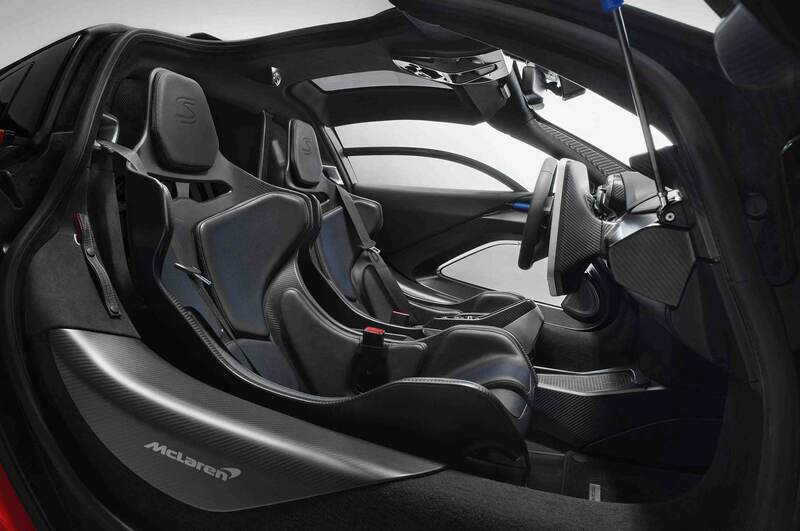 The McLaren Senna has only enough room for two helmets and race suits behind the seats. 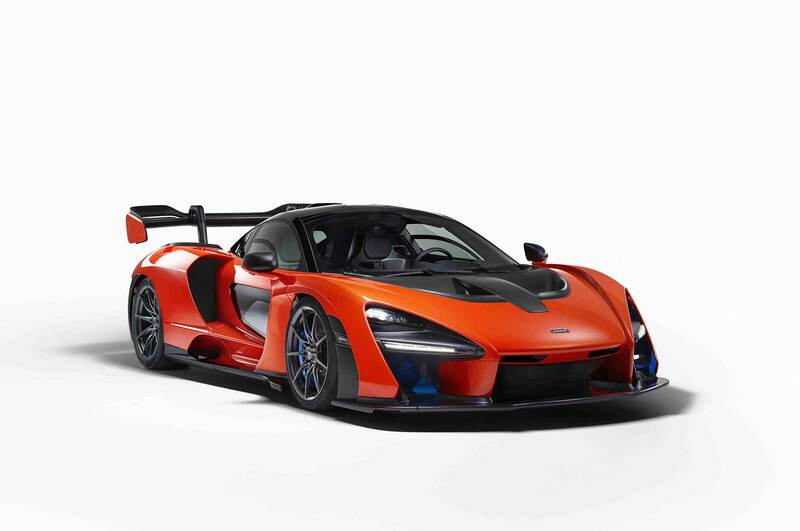 Being an Ultimate Series car like the P1 and P1 GTR, the Senna will have a limited production run of just 500 units. 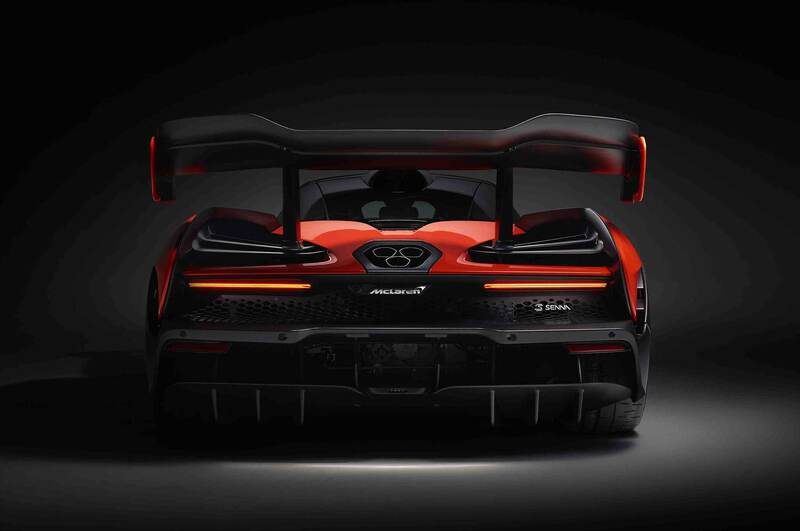 Each one will be priced in the U.K. at £750,000 (roughly $1,003,950) including taxes.